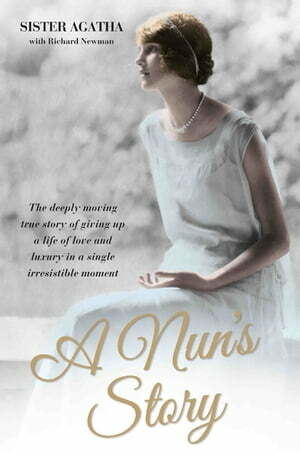 Collins Booksellers - A Nun's Story - The Deeply Moving True Story of Giving Up a Life of Love and Luxury in a Single Irresistible Moment by Sister Agatha & Richard Newman, 9781786064387. Buy this book online. Shirley Leach lived in a world of extreme comfort, wealth and status. With every good thing life had to offer, she was due to marry the man she loved—a man who, in turn, adored her. But all this was to change in a single moment. One happy day, in the midst of writing to her fiancée, her hand stopped writing unbidden; then it continued by itself, etching the words which would change her life forever: ‘…but there’s no point now, as I am going to be a nun.’ That bolt from the blue set events in motion that caused Shirley to lose her mother and sisters, her husband to be, her horses, her parties and life of ease. Within months, Shirley had become Sister Agatha. But her faith in her choice never faltered, despite years of great difficulty when her Convent was close to bankruptcy. Her belief took her to London to knock on the intimidating Sir Paul Getty’s door and secure the money to ensure her community would not lose their home….and getting it. Now eighty-five, she looks back on an incredible life of love, loss and belief. This is at once a deeply poignant tale of doomed romance, and a heart-warming story of taking a leap of faith and finding a meaning in life beyond wealth and comfort. Whether a believer or not, Sister Agatha’s momentous life will touch and inspire, whilst reminding us that it is perhaps better to accept that not everything in the world is yet explained.